The previous power supply I used with the Sparkfun ATX bench-top converter resulted in magic smoke and a near fire. So rather than use another old, potentially dodgy unit, grabbed a new cheap one from Scan, opened it up and removed anything that wasn’t the ATX connector. Then shortened the ATX cable down to a few inches with some splicing and heatshrink. 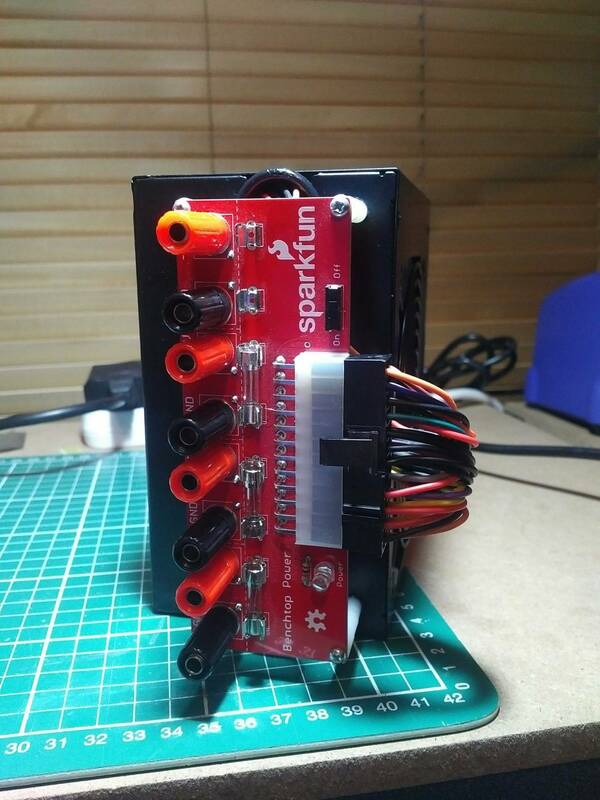 Finally superglued the Sparkfun unit to the surface. Much better than before. And once finished, a much tidier assembly than before.